Arthritis is a disease that causes pain and inflammation in the joints. There are many different types of arthritis. It affects more than 10 percent of Canadians over the age of 15, and is caused by wear and tear on the joints. Though it can affect any joint in the body, osteoarthritis most often affects joints that bear weight, such as the knees, hips, and the spine. It may also affect the fingers, thumbs, neck, or large toes. When it affects other joints in the body, it is typically the result of a past injury, extreme stress, or a condition that affects the cartilage. Cartilage is a firm but flexible material that acts as a cushion between the bones. It absorbs shock and prevents friction in the joints. Osteoarthritis affects the cartilage, causing it to stiffen and lose some of its elasticity. This makes it easier for cartilage to degenerate. Over time, cartilage may disintegrate, compromising the joint’s ability to absorb shock. To compensate, tendons and ligaments may stretch. In severe cases, the bones may rub against each other. This causes stiffness, pain, and difficulty moving, which are hallmarks of osteoarthritis. 1. What are the symptoms of osteoarthritis? Aching and soreness in the joints. Pain following inactivity and/or overuse. 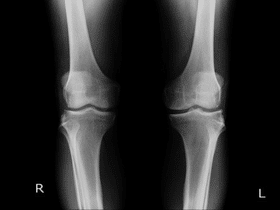 2. Who can develop & what causes osteoarthritis? 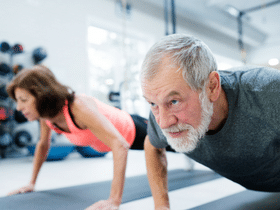 Anyone can develop osteoarthritis, although the chances of doing so increase with age. For instance, most adults over the age of 60 sustain at least some joint damage caused by osteoarthritis. Severity can vary between individuals and demographic groups. For example, among those 50 and older, women are more likely to be affected than men. Adults in their 20s and 30s can also develop osteoarthritis. In these cases, the condition is usually linked to injuries caused by accidents or repetitive movements. A hereditary abnormality in the genes related to cartilage can make it easier for joints to deteriorate. People with certain genetic conditions, such as scoliosis or a curved spine, are more likely to develop osteoarthritis in the affected area. Excess weight can put additional stress on joints such as the knees, hips, and the spine. Injuries, such as broken bones, can make it easier to develop osteoarthritis. For instance, athletes who suffer knee injuries may be more likely to develop osteoarthritis of the knee later on in life. Repetitive use of certain joints can increase the risk of osteoarthritis. People with rheumatoid arthritis are at an increased risk of developing osteoarthritis. Other rare conditions can also increase the risk. 3. I think I have osteoarthritis. What should I do? If you think you have osteoarthritis, you should schedule an appointment with your family doctor to discuss your symptoms. 4. 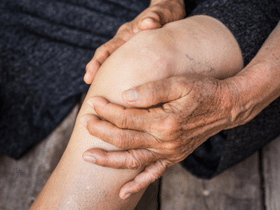 How is osteoarthritis diagnosed? There is no single test for osteoarthritis. Instead, your doctor may look at your medical and family history and conduct a physical exam. Other tests, including blood tests and X-rays, may be used to rule out other conditions that cause similar symptoms. In addition, X-rays and MRIs are sometimes used to identify the extent of damage to the joints. Osteoarthritis specialists are called rheumatologists. Your family physician might also refer you to an orthopedic surgeon, physiotherapist, or occupational therapist to treat symptoms related to osteoarthritis. There are a variety of treatments available for osteoarthritis. Over-the-counter pain relievers, such as acetaminophen, naproxen, and ibuprofen are often the first line of defense against pain. 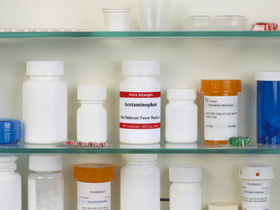 Your doctor may also prescribe a stronger anti-inflammatory drug or, in severe cases, a narcotic. Creams, sprays, and rubs can also help to relieve pain at the site of the joint. For pain that is severe and persistent, steroids may be injected into the joint every few months. However, some osteoarthritis experts believe this can exacerbate the joint damage. Hyaluronic acid injections have also been used to treat osteoarthritis in the knee joint. Supportive devices, such as orthopedic shoes or knee braces, can be used to reduce pressure on the joints. Unfortunately, these treatments do not slow the progression of the disease. When other treatments fail to help manage symptoms or osteoarthritis causes persistent pain that interferes with day-to-day activities, your doctor might suggest surgery. 7. What else can I do? Eating a healthy, balanced diet containing omega-3 fatty acids and vitamin D.
Alternative treatments, such as supplements and acupuncture, may also help with symptoms of arthritis. Check with your doctor to learn more about alternative treatments. 8. Can osteoarthritis be prevented? Some osteoarthritis risk factors, such as gender, genes, or age, cannot be prevented. Otherwise, a healthy lifestyle is the best defense against osteoarthritis. Wearing protective gear when playing high-impact sports. Following ergonomic practices and procedures in your workplace and when exercising. These 17 tips to keep your joints and bones healthy will help you prevent osteoarthritis and other joint-related conditions.